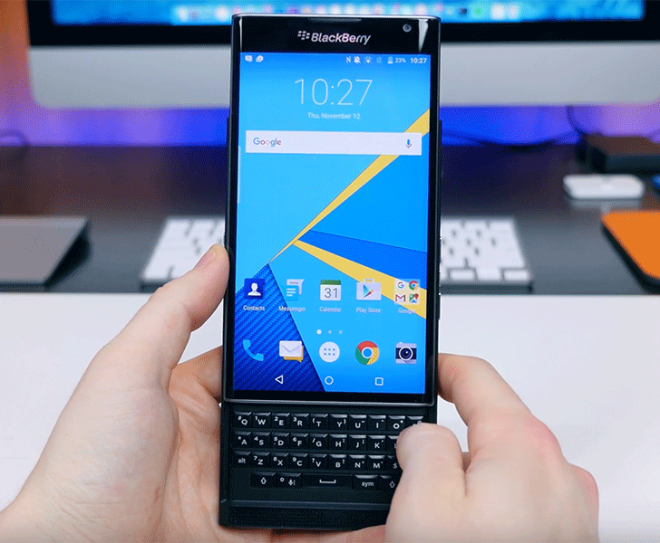 Last week brought some disappointing news for the BlackBerry Priv as it was removed from T-Mobile’s online store, but today we’re pulling a 180 and sharing some exciting news for BlackBerry’s first Android smartphone. T-Mobile says that it’s now pushing Android 6.0.1 to the BlackBerry Priv. This rollout comes about a month and a half after BlackBerry first began pushing Marshmallow to the unlocked version of the Priv. Of course, some lucky folks have been beta testing Marshmallow on the Priv in recent weeks, but now all T-Mobile Priv owners are getting the update. As for what’s included, T-Mobile’s changelog is rather brief, saying only that there are “Performance and stability enhancements.” We do know that the upgrade to Android 6.0.1 includes goodies like Google Now on Tap, Doze mode battery optimizations, and improved app permissions. BlackBerry has previously detailed some of the features that it’s baked into the update, too, like support for more social networks in BlackBerry Hub and keyboard improvements like new and updated emoji and better word prediction. All in all, this is a pretty major update for BlackBerry Priv owners. If you’ve got a T-Mobile BlackBerry Priv and have yet received your helping of Marshmallow, you can check for it manually by going into Settings > About phone > System updates > Check for update. Just keep in mind that the update is 1.3GB, so you may want to find yourself a speedy Wi-Fi connection before starting the download. Are you serious right now? How the hell does the Blackberry Priv get marshmallow before the Note 4? Samsung, that’s your reason why. i wonder is tmobile sitting on the update. ill jus flash a custom rom. T-Mobile has 6.01 available for the Priv? On the T-Mobile update page it doesn’t list this as being available yet. Look at https://support.t-mobile.com/community/phones-tablets-devices/software-updates#tmoSUPDocTitle . Performing a Update check doesn’t list the update as being available, and T-Mobile doesn’t give a software downloader. I think this is still in the future. The Priv needs all the help it can get. Maybe it will fix the overheating problem with the device. My thoughts exactly. When will Note 4 getting Marshmallow?? Come on T-Mobile push it please. Being almost 9yr customer, always going to hold onto my Note 4, bought so many accessories, I’d be crazy to sell it. Have the SGS7, and others but the Note 4 is a must keep. Sorry for ranting but where is Marshmallow? WIfi is required for the download. Downloading now.